Recently I got the opportunity to take part in the Book Tour for the third in the Diary of Pig series. I'd seen this books but hadn't read any, but was kindly sent all three to review. Now I have to confess that I have only read the first one, due to time constraints at the moment, but I found it hilarious and I'm looking forward to reading the others. The books are middle grade, but that's very much a loose definition I think, because a parent could read them to a child aged from around five and they would both enjoy it. 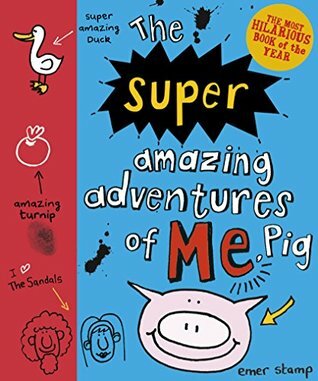 In the first book, Pig lives on a farm and loves Farmer, because Farmer gives him lots of yummy slops, and is very happy when Pig gets fatter. 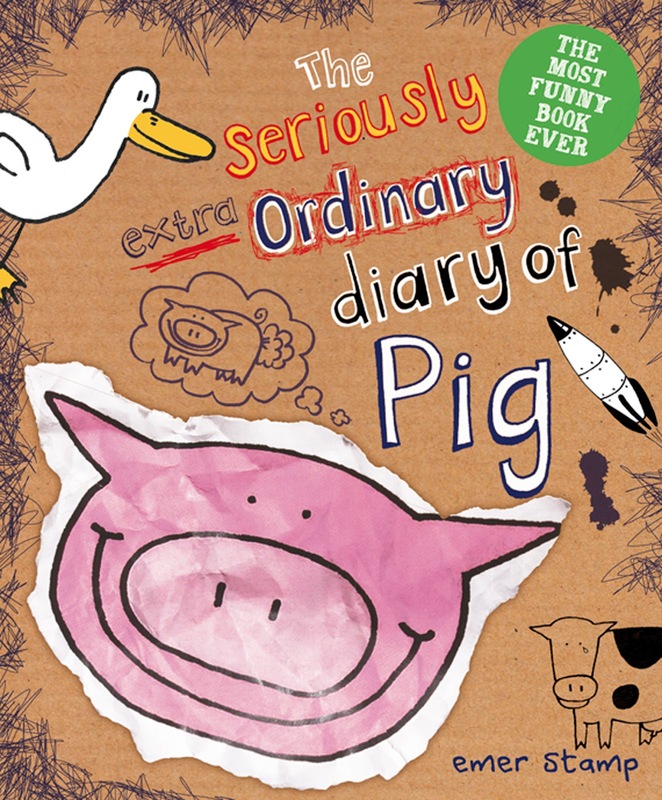 Pig is friends with Duck, who is very clever, and who tells him of Farmer's evil plan to make him into Roast Pig! The Chickens, who are evil, are making a spaceship and offer Pig the chance to go to Pluto! The book has some illustrations and is generally delightful. I will of course review all the books as I read them in my usual format, but if the second two match up to the first one, it'll be 10 out of 10 all round for me! Thank you Faye Rogers for sending these to me. We love Pig , but Pig loves Farmer. After all, Farmer gives Pig yummy slops and special back scratches, and calls him Sausage and seems to love him more, the fatter he gets. Just as well Pig doesn't speak any Farmer. But Duck does (Duck's clever like that), and he's determined his best friend should know the truth. 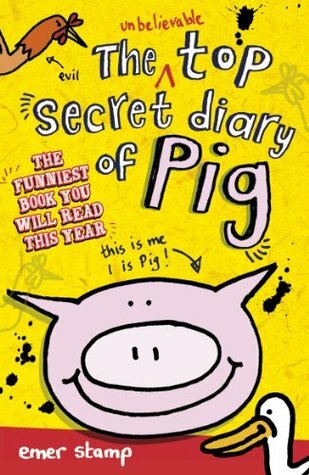 The hilarious sequel to THE UNBELIEVABLE TOP SECRET DIARY OF PIG. Pig couldn't be happier. Life with the vegetarian farmers is perfect, and he has a new friend, Kitty. 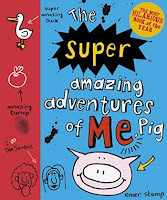 Of course, Pig won't believe she's up to something until he's eaten the entirety of the farmers' prize crop and is half way to the pie factory. 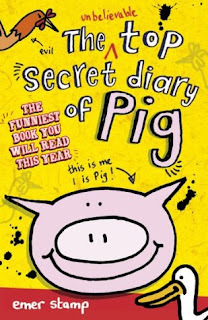 Emer Stamp is the author and illustrator of The Unbelievable Top Secret Diary of Pig. Emer grew up on a farm in Devon before training in graphic design and working for some of London's top advertising agencies. 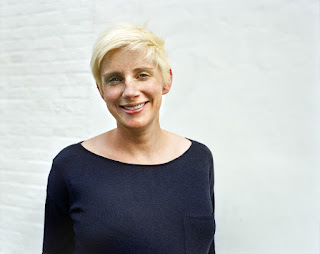 She was the Creative Director for the Adam and Eve DDB communications agency, which creates advertisements for clients including John Lewis, Halifax, Cadbury's and Save the Children. She lives in London.